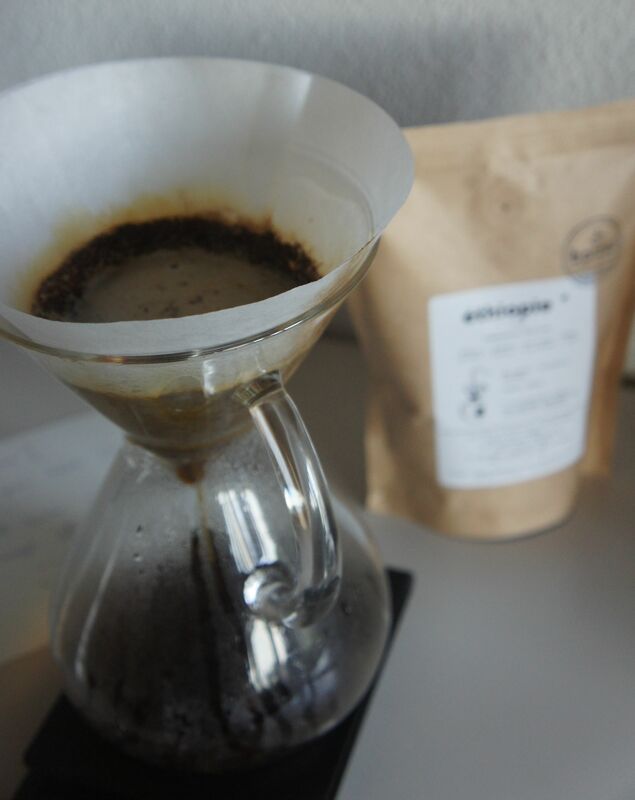 Yesterday I got a very sweet surprise in the mail from Geneva – Fabien and Bastien from Boreal Coffee Roasters have sent me some from their Ethiopian coffee. Roasted three days ago (ahh, these guys know me :D) Typica from the Sidama region, Shilicho Cooperative. Thank you guys for the gift and the lovely postcard, I appreciate it! Hope to see you soon! So this is the coffee that wasn’t available when I was in Geneva, it’s direct trade (like most of the beans Boreal work with), first try with it – chemex. It’s roasted for filter. When we don’t take in account that the coffee is very fresh, it has sweet citrusy notes. On the package says bergamote, but I’m going more towards grapefruit. The coffee has pleasant acidity and quite silky mouthfeel. And when it cools down a bit it turns very sweet and nippy (I always wanted to use this word :D). Nippy in cupping language means the coffee’s acidity is being sweet. I can drink this coffee even cold, it’s lovely.